Beautiful one-story home located on over an acre with lots of mature trees. 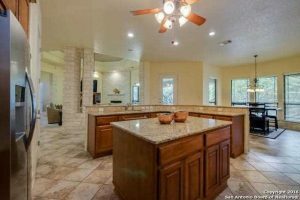 Large open floor plan with tiled flooring, fireplace, stone walkways and decorative ceilings. Gourmet island kitchen with stone breakfast bar and granite counters. Family and friends will enjoy the enormous gameroom with wet bar. Oversized master with bay windows. Master bath with double vanities, walk-in closet, garden tub and separate walk-in shower. 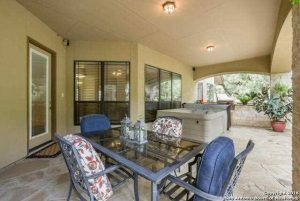 Entertainers dream with plenty of outdoor living space and a hill country feel. 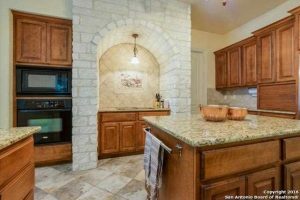 Fossil Peak, is one of the most desirable areas in the entire San Antonio Texas region. With excellent schools and a close proximity to the city. it’s an oasis just inside of the city. Thank you for reading about 22814 Fossil Peak San Antonio TX 78261.